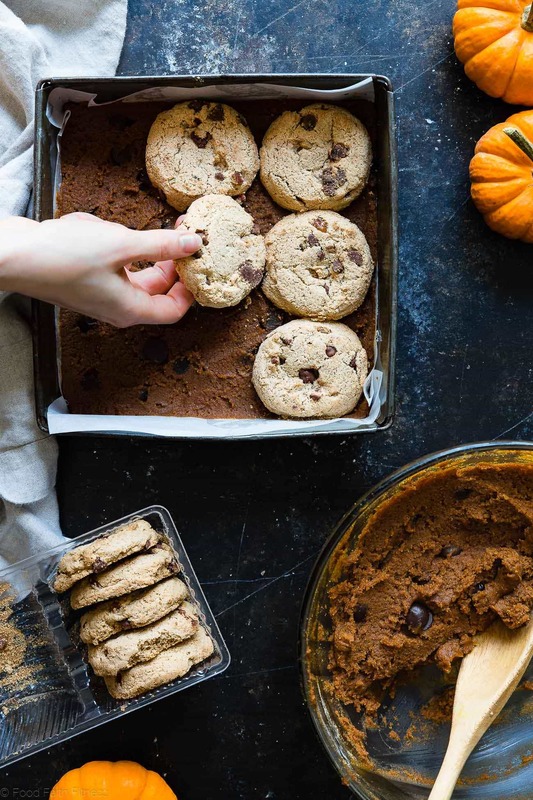 Cookies are baked right inside these cookie stuffed pumpkin blondies! 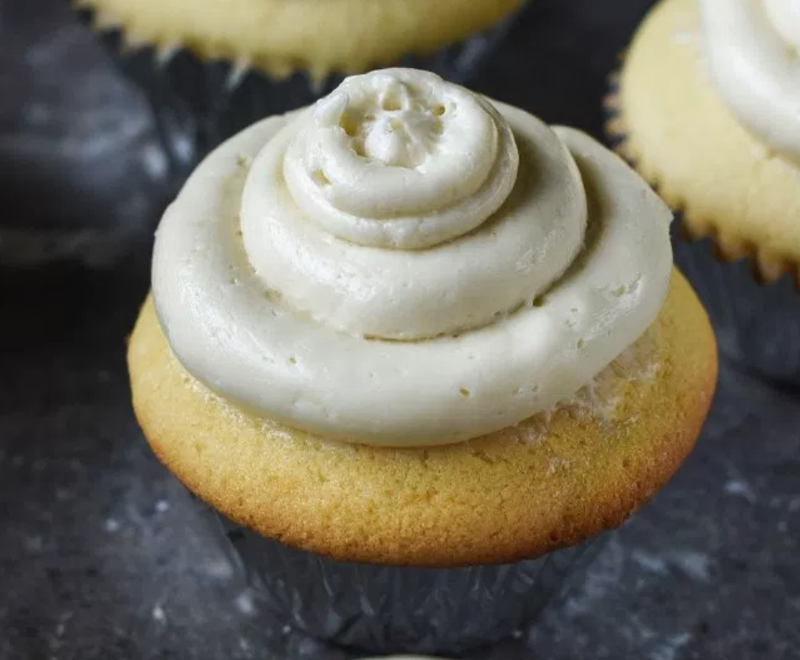 They’re so dense and chewy you’ll never know they’re gluten and dairy free! Everything in me loves EVERYTHING inside of you. 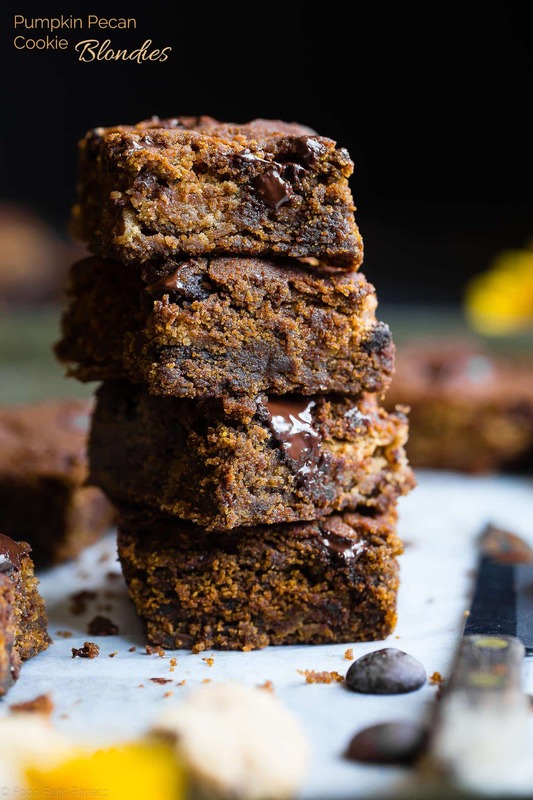 Your moist and chewy, sweet-and-spicy pumpkin goodness mixes with rich chocolate, toasty, CRISPY PECANS and swirls of buttery, soft COOKIES inside my mouth in a way that can only be described as a moment of PURE fall-flavored-food BLISS. 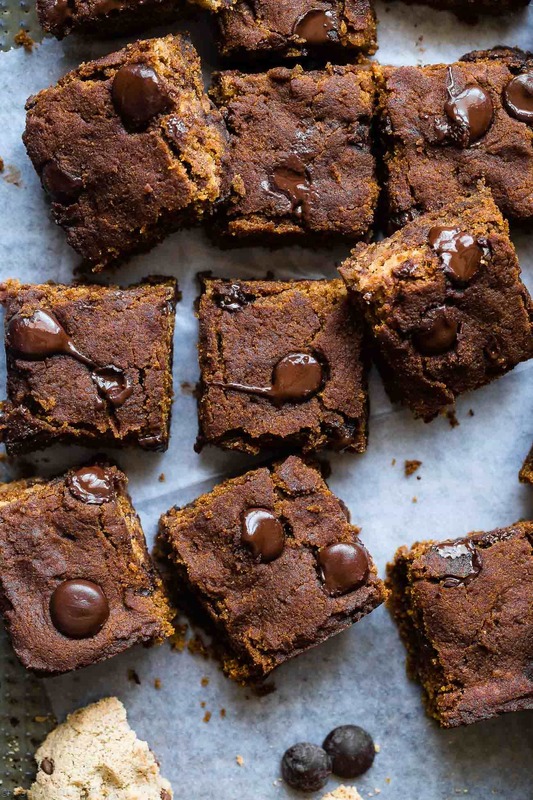 GLUTEN FREE PUMPKIN BLONDIES that are chewy and SUPREMELY dense and totally addicting. CHOCOLATE CHIPS that are pretty much a melty-gooey-in-your-mouth mess of YUM. PECANS that are nutty and crispy and crunchy and will totally make your inner-texture-freak-self VRY VRY happy about the current dessert situation. Ohmanohmanohman. You guys. 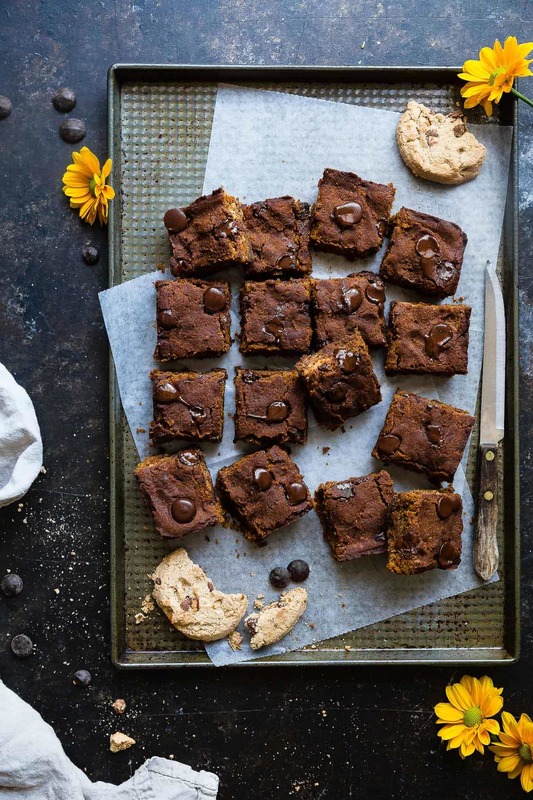 Cookies + blondies together in ONE dessert? It IS a thing that exists on this planet that we call Earth and you are going to RLY RLY like it. A LOT. In all our chatter about crispy-crunchy pecans, I withheld very important information from your nut-butter-love souls. THERE are T-W-O kinds of nutty goodness dancing around the inside of these little bliss-blondies: pecans and ALMOND BUTTER. Just like the paleo banana bread with chocolate, these wholesome little treats use almond butter as the binder, which is basically the worlds yummiest way to bind ANYTHING EVER, without using eggs and WITH adding a WHOLE lot of RICH, addicting flavor yumminess and INSANELY chewy goodness.